Finding a used vehicle in St. Louis doesn’t have to feel like a chore, even if you’re working with a tight budget! Suntrup Volkswagen is home to a sizable collection of used cars priced under 10k, and the pre-owned vehicles on our lot are as dependable as they come. Even if you end up choosing a vehicle that isn’t made by Volkswagen, you’re sure to drive away feeling satisfied. Alloy wheels, Heated door mirrors, Illuminated entry, Leather Seat Trim, Remote keyless entry. Brilliant Silver 2003 Hyundai Sonata LX FWD 4-Speed Automatic with Overdrive The Suntrup family have been servicing and selling cars since 1957 for the St Louis area.The Suntrup Automotive Group is active in its communities and believes in giving back. Today Suntrup Automotive Group has nine brands, eleven locations, thousands of cars and is every bit committed to providing excellent customer service in every aspect of the business. There's never been a better time to drop on by at our dealership here in 5926 So Lindbergh Blvd St Louis, Missouri, proudly serving drivers from Ballwin, Affton and Kirkwood. We're very much looking forward to it. 2.7L V6 MPI DOHC Odometer is 45922 miles below market average! Don't miss out on this well maintained SUV equipped with a panoramic moonroof and rear entertainment system! Schedule a test drive today!. Obsidian Black 2008 Saab 9-7X 5.3i AWD 4-Speed Automatic with Overdrive 5.3L V8 SFI Reviews: * If you're in the market for a practical SUV, but would rather be shopping for a European sport sedan, you may find the 2008 Saab 9-7X delivers the utility you need, the badge you want and an attractive window sticker as well. Source: KBB.com Whether you are interested in learning more about our team or are ready to begin shopping with us, we invite you to visit our showroom today. Conveniently located on Manchester Road just west of Hwy 141 in Manchester, MO, our team looks forward to helping you experience new levels of affordable luxury. *See dealer for details. **Note: All sale prices and discounts listed above, include all available factory incentives, discounts and rebates. Special rates must finance through BMW Financial. These are subject to change at any time. New Price! One Owner, Clean Vehicle History, Best value within 250 miles! Schedule a test drive today!! Backed by our Lifetime Powertrain Protection!, ABS brakes, Illuminated entry, Low tire pressure warning, Power moonroof, Remote keyless entry. Classic Silver Metallic 2010 Scion tC FWD 5-Speed Manual with Overdrive 2.4L I4 SMPI DOHC Odometer is 9945 miles below market average! 20/27 City/Highway MPG Reviews: * If you were a long-time fan of Toyota's discontinued Celica, you'll like what Scion has done with the tC. Its robust power, long list of standard equipment and low base price are exactly what young consumers are looking for in a fuel-efficient sports coupe. Source: KBB.com Whether you are interested in learning more about our team or are ready to begin shopping with us, we invite you to visit our showroom today. Conveniently located on Manchester Road just west of Hwy 141 in Manchester, MO, our team looks forward to helping you experience new levels of affordable luxury. *See dealer for details. **Note: All sale prices and discounts listed above, include all available factory incentives, discounts and rebates. Special rates must finance through BMW Financial. These are subject to change at any time. Gray Metallic 2006 Kia Sportage FWD 4-Speed Automatic with Overdrive and Sportmatic The Suntrup family have been servicing and selling cars since 1957 for the St Louis area.The Suntrup Automotive Group is active in its communities and believes in giving back. Today Suntrup Automotive Group has nine brands, eleven locations, thousands of cars and is every bit committed to providing excellent customer service in every aspect of the business. There's never been a better time to stop in our dealership at 6263 S Lindbergh Blvd St Louis, Missouri, 63123. Proudly serving drivers from Ballwin, Affton and Kirkwood. We're very much looking forward to it. 2.7L V6 DOHC 24V Odometer is 84466 miles below market average! Pearl White 2006 Mercury Mountaineer Premier AWD 6-Speed Automatic with Overdrive The Suntrup family have been servicing and selling cars since 1957 for the St Louis area.The Suntrup Automotive Group is active in its communities and believes in giving back. Today Suntrup Automotive Group has nine brands, eleven locations, thousands of cars and is every bit committed to providing excellent customer service in every aspect of the business. There's never been a better time to drop on by at our dealership here in 5926 So Lindbergh Blvd St Louis, Missouri, proudly serving drivers from Ballwin, Affton and Kirkwood. We're very much looking forward to it. 4.6L V8 SOHC 24V Odometer is 1448 miles below market average! You’re sure to find some great options when you explore the used vehicle specials and the vehicles under 10k at Suntrup Volkswagen. Now that you’ve had the chance to take a look at our lineup, we’re sure that you’ll be eager to take the next steps. Pick out a vehicle to test drive on the streets of Mehlville and Fenton, and then reach out to our team to get behind the wheel. 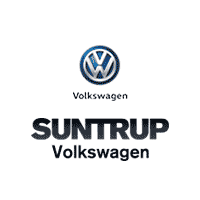 When you drive with Suntrup Volkswagen, we make the car buying process as easy as possible. You can start your next adventure today by valuing your trade-in online and calculating your potential monthly payments. Whether you decide to buy or lease your next pre-owned vehicle, you’ll have a stress free experience with us.